After 4 days this case was open and the tech not even tried to give us a hint on this. I hope someone can help us on the forums. 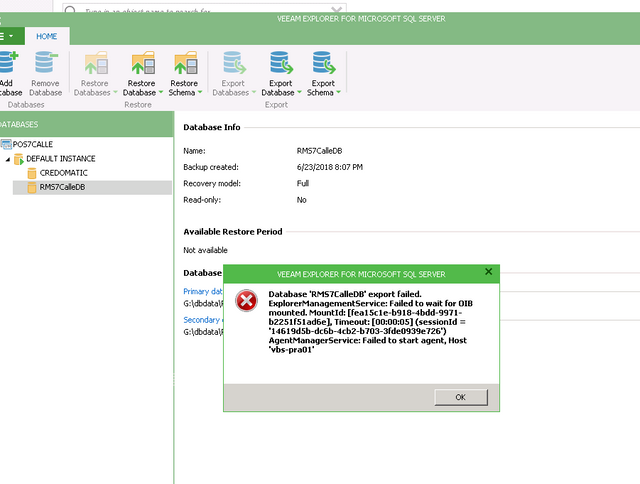 We were trying to restore a mssql db to a and MDF file and got the attached error, if anyone have seem this error before. Josue, have you tried to specify any other server as mount server for the repository? Hello foggy, I see no option to change the "mount server" only option is to select destination folder. It's in the backup repository settings. 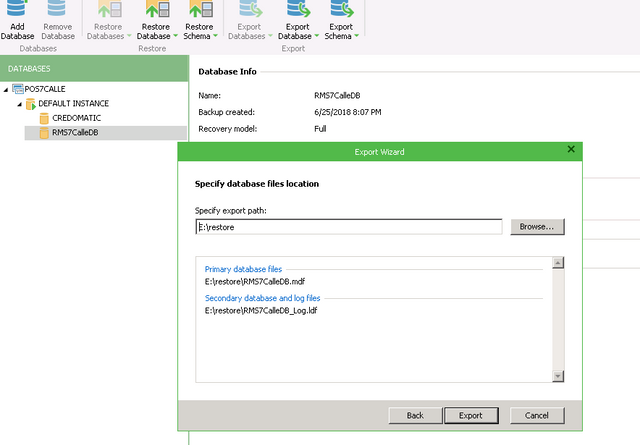 well I did change the destination folder to the local veeam backup server and now is exporting the database, so no error anymore. thanks for the help. Shame on me for not ask here first. waste of time on support ticket.